When I joined the Project 52 – 2013 group I was a bit concerned if I could would be able to post photos for every theme. As it was, I missed by one photo (week 50) but given the way 2013 turned out, 51 out of 52 is an acceptable result in my view. 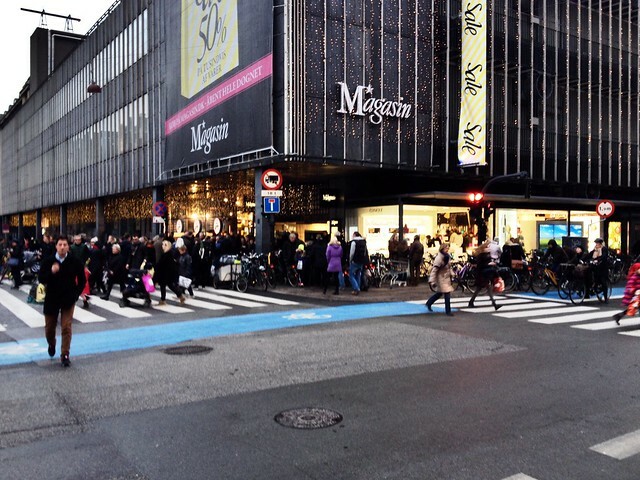 Anyway, the theme for the last week of 2013 was zealous and the bargain-hunting shoppers entering and exiting Magasin in Copenhagen was an obvious choice despite the hopeless lightning conditions. On a technical note, all photos were taken with my iPhone 4S. 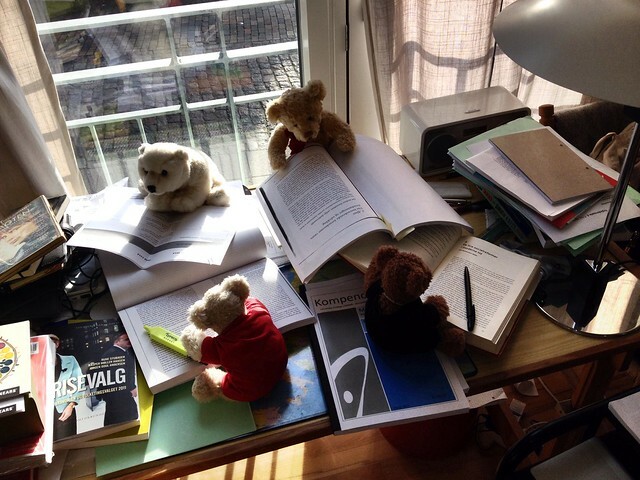 Some have been staged (teddy bears don’t really move by themselves) others snapshots. Also, some have been lightly edited with the apps available for iOS. I had to give Project 52 – 2013 a miss last week but as things turned out “Yipee!” was a perfect choice for week 51. 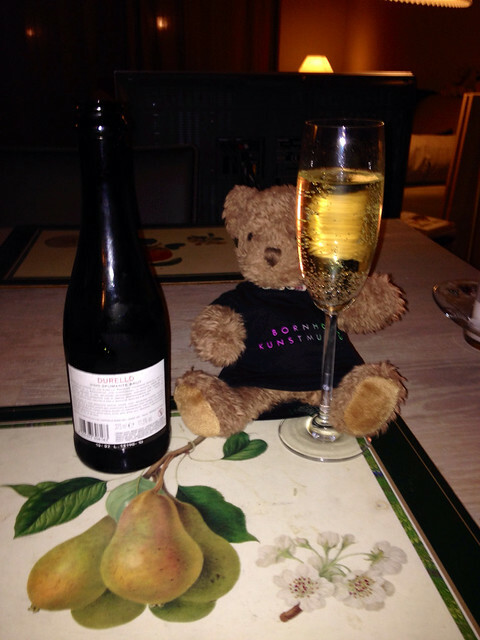 Bruno is still hung over – or as we say in Danish – “wearing a bear”. I posted this earlier but decided to use the photo as my contribution to the Project 52 – 2013 group on Flickr and consequently I deleted the first post and repost the photo in an edited version. 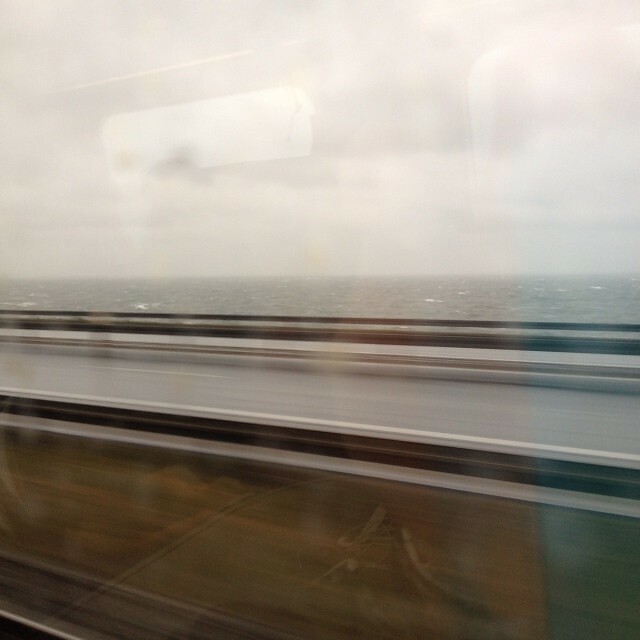 The photo was taken from an InterCity train passing the Great Belt Bridge during the storm which hit Denmark on December 5. Train traffic was limited during the day and eventually cancelled, starting in Jutland so the train which was originally bound for Flensburg and Esbjerg ended in Odense. 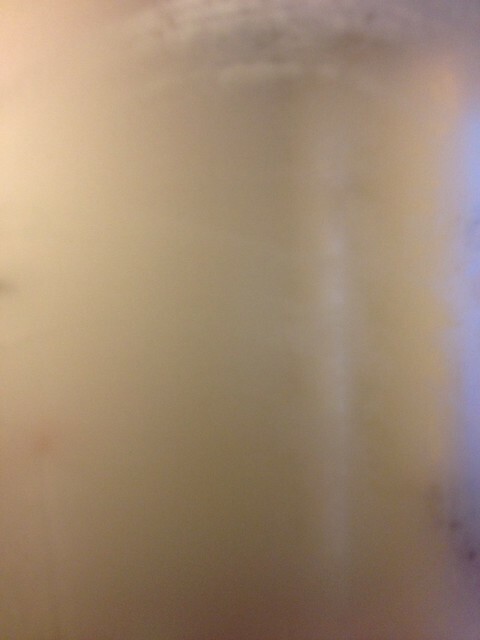 Vaporous yielded a damp bathroom mirror. Thanks to Lisa Risager for some well-needed inspiration. 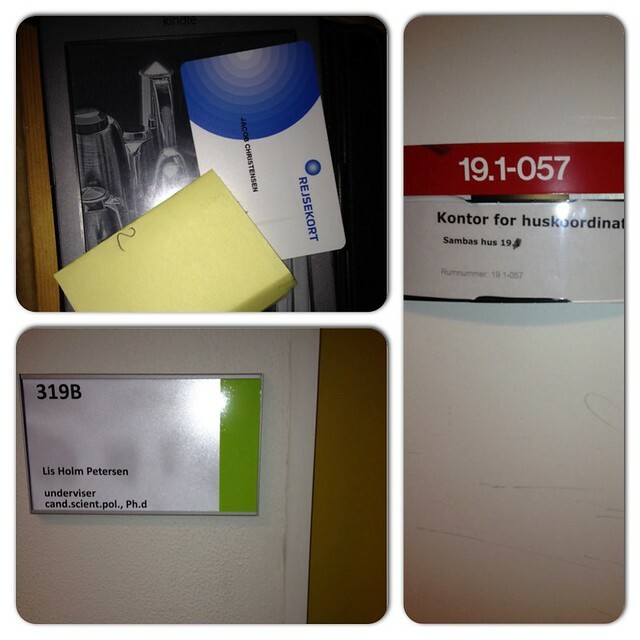 Busy weeks with work in Odense, Roskilde and – the coming weeks – Vejle. So I have a lot of urgent tasks to deal with and work out of two borrowed offices. I had to spend four months on sick leave in early 2012 due to stress and the entire experience was a powerful reminder that you need to set up limits to your work and that it is essential to take time off to relax and put your daily routines into perspective. 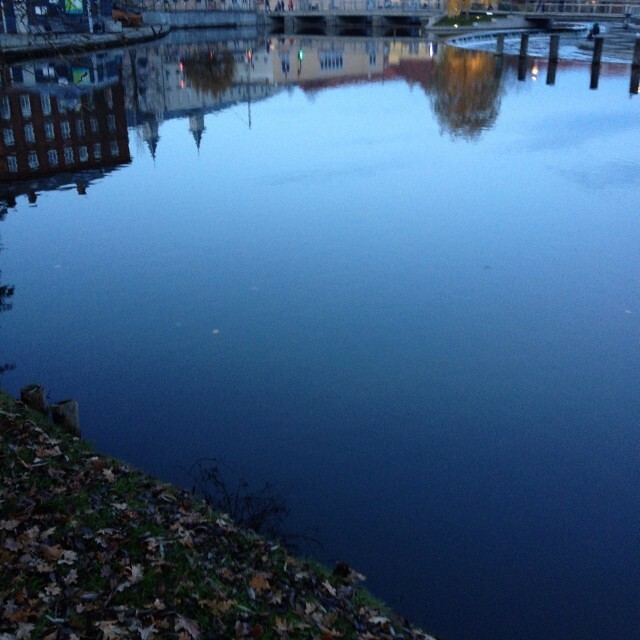 A quiet walk along the river is on of the things that can do the trick for me – and as this week’s theme was “therapeutic”, I offer you the reflections on the quiet surface of the river passing through central Odense. Some busy weeks with a lot of teaching ahead of me. Fortunately, I could call in the adjunct professors to help me.